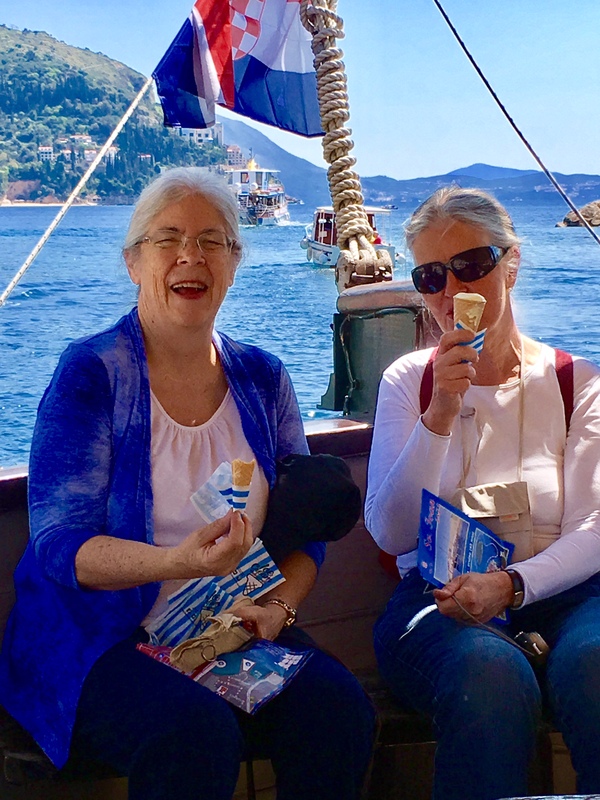 Holly and Sabine enjoying an ice cream on the afternoon cruise. On the Croatia tour. Mike Ross Travel.